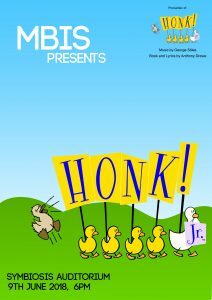 The production of Honk! Jr. is on it’s way! With students actively participating and playing their parts for the show in preparation for the real thing. 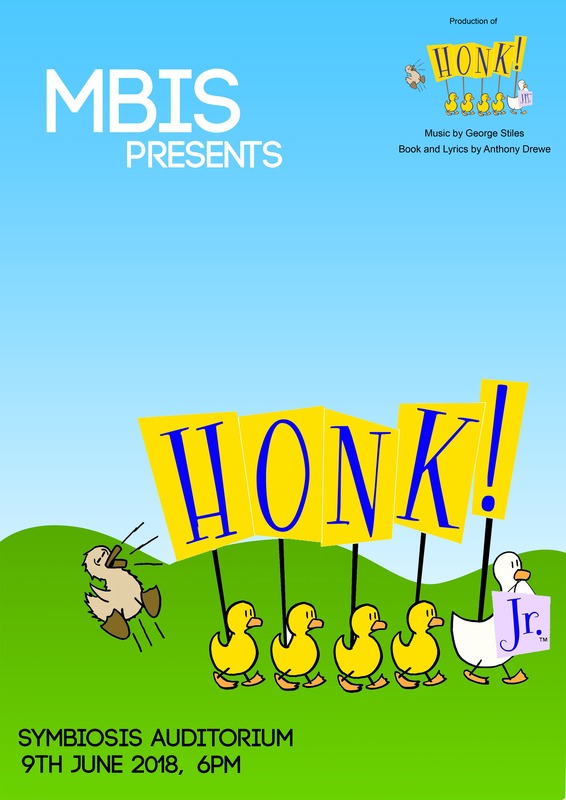 As part of HONK! We have decided to place a giant inflatable rubber duck in the school pool to spread the word. 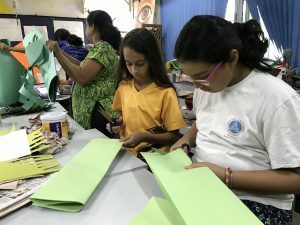 As a part of the props for HONK!, leaves are being created for the trees. Each leaf has to be created by hand. 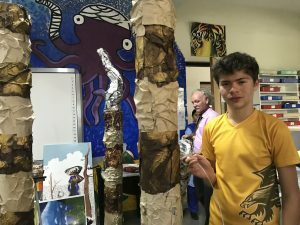 Two students, Ira and Diya (MYP1) are responsible for creating these. 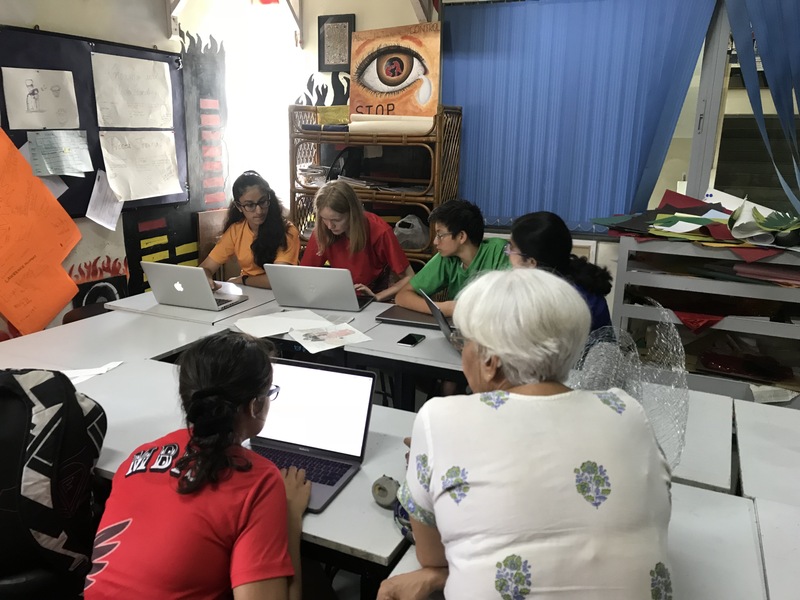 The team responsible for costume design is currently collaborating and sharing ideas for the costume design for the actors involved in HONK! These are the trees that are being used for the performance, they were made from chicken wire and filled with recycled newspaper. The trunk has been made out of PVC piping. The props for HONK! are currently in the works. The grass is being painted on plywood. Soon cattail/bulrush are going to be added onto the prop. As well as this, the design team as a whole have been hard at work ensuring that all of the props look well done, brilliant and spectacular. All props and costume design has been done by hardworking students. So have the general design on the props. 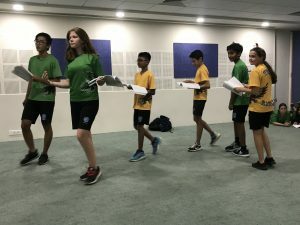 Costumes have also be chosen by the students, this has been done to ensure that the entire performance is student based, though the students were able to create these props with guidance from teachers.